A canned food drive was held by Immanuel Lutheran School during the week of January 27 in conjunction with National Lutheran Schools Week. 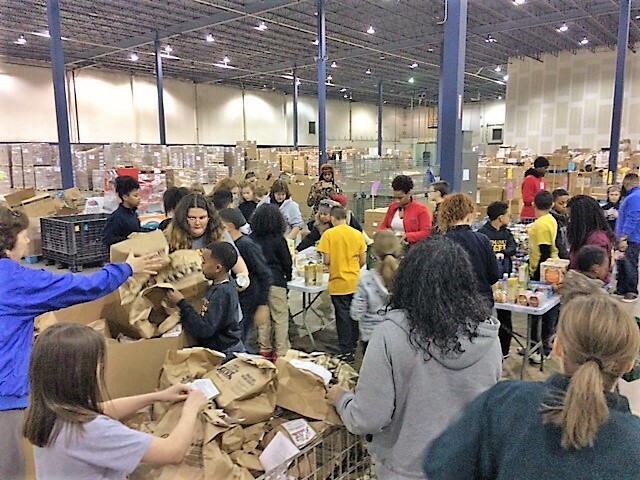 Fifth and sixth grade students packed and delivered 760 pounds of food to the Mid-South Food Bank on February 1, where students worked diligently for several hours unpacking and sorting food. Their heart for serving others was evident and they accomplished a lot by working well together as a team. The Food Bank distributes food through its partner agencies to help 400,000 people throughout the Mid-South fight food insecurity. Thanks to everyone at Immanuel for what you did in making a difference!